Lock in a great price for The George Inn – rated 8.2 by recent guests! new owners, very friendly and helpful. beautiful village and easy to get to from the main road. Friendly very warm hearted owner lovely breakfast and would come back! breakfast was plentiful and cooked to order; big pot of fresh ground coffee. the owners and staff were tremendously helpful with advice on where to visit and very friendly and approachable. Very comfortable room. The food was amazing. Very good value for our stay. Very friendly from the moment I arrived. Adapted to my needs re breakfast times. Bed was extremely comfortable, I didnt want to get up! Breakfast - full English was outstanding!!! The individual bedrooms at The George each have a private bathroom, a TV and radio. Wi-Fi is accessible throughout, and some rooms have a bath and shower. 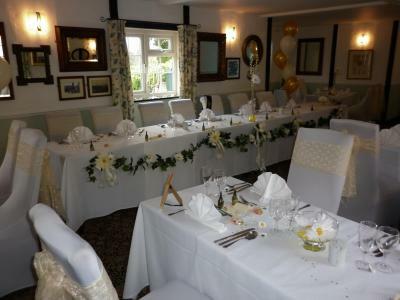 The popular George Inn Restaurant serves a varied menu Tuesday to Sunday during winter, and 7 days a week during summer, using local produce. The bar offers real ales and local ciders. Light lunches are also available, and cooked breakfasts are served daily. Located in Donyatt, The George Inn is centrally located for exploring Dorset and Somerset. Picturesque Chard is a 5-minute drive away and Taunton is 15 minutes’ drive, offering access to the M5 motorway. This room features a TV and tea and coffee making facilities with bottled mineral water. The private bathroom has complimentary mineral water. This room features a TV and tea and coffee making facilities with bottled mineral water. The private bathroom has complimentary mineral water. A hairdryer and ironing supplies are available upon request. Please note, The George Inn is closed to the public between 15:00 and 18:00. Guests arriving at this time must contact the property using the details on their booking confirmation to gain access. Didn’t get offered WiFi. But wasn’t the end of the world. I obviously didn’t need it that much as kept forgetting to ask. Made very welcome. Amazing food. Breakfast to die for. Huge comfy bed. 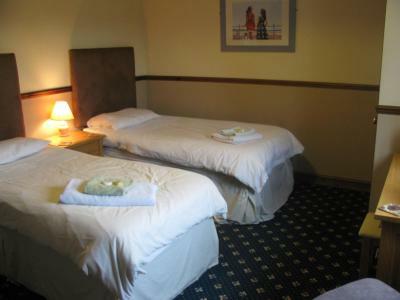 Comfortable beds, exceedingly good food, reasonable all round pricing, polite, efficient, enthusiastic, owners and staff. Good luck to all connected for a successful future. Everything was great - the pub has new owners and they are working on lots of improvements already - I am confident it will be even better once it's finished. The staff were amazing, super-helpful and friendly. Helen was really accommodating and I really enjoyed talking to her. If I'm ever back in the area and need somewhere to stay I will definitely go to the George!